Rolls Royce Motor Cars is a manufacturer and distributor of luxury cars. The company, which is based in England is a wholly owned subsidiary of the German group BMW (Bayerische Motoren Werke). It was founded by Henry Royce, an engineer and Charles Rolls, a car salesman in 1906. The company which produces brands such as The Phantom, The Ghost, The Wraith and The Dawn employs over 1300 people. Henry Royce was born near Peterborough, England in 1863. The youngest of five children his father died when he was nine. Henry worked as an apprentice with the Great Northern Railway Company and later with a tool making company in Leeds. In 1884 he established F.H. Royce and Company with a friend, manufacturing electric cranes. Royce began building cars and on May 4th 1904 met Charles Rolls. At the time Rolls was selling French made Panhard cars at his showrooms in London. He agreed to sell cars manufactured by Royce instead. 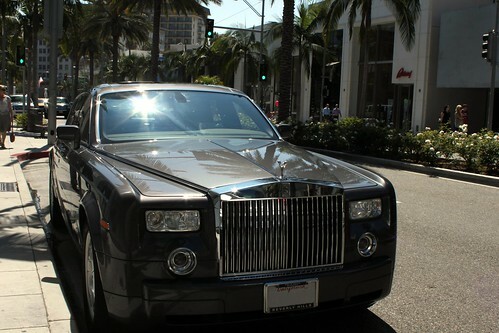 The Rolls-Royce became famous for its luxury and reliability. Henry Royce died at the age of 70 on April 22nd 1933. Henry Royce, co-founder of the Roll-Royce company was born in the year 1863 On This Day.